We’re super-excited to announce these latest events! RETURNING from a BOOKED-UP event in 2017… Bat Nights with Lincolnshire Bat Group! Find out more about them both below! … so that’s what we’ve done this year! The Bat Nights will take place at St. Helen’s Church, off Hall Drive in Boultham. There is ample parking nearby, but no toilet facilities for the whole of the event – please bear this in mind. 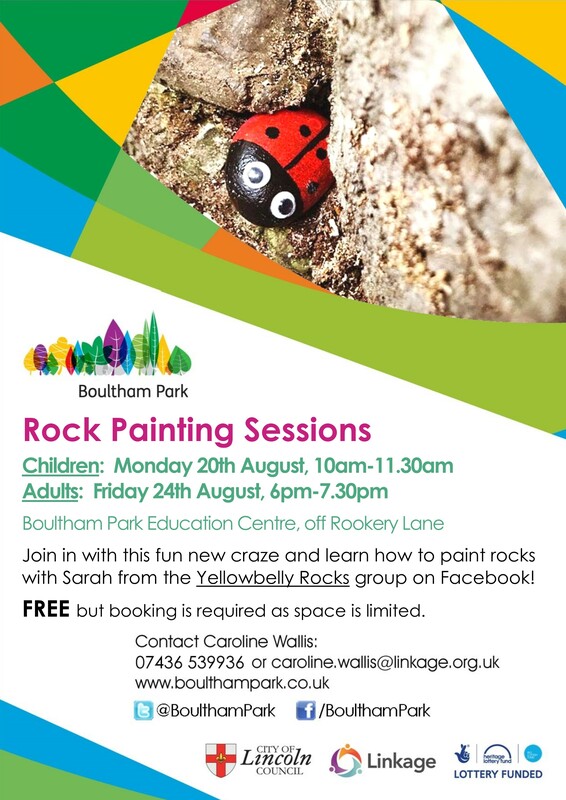 These events are for suitable for ages 8+. 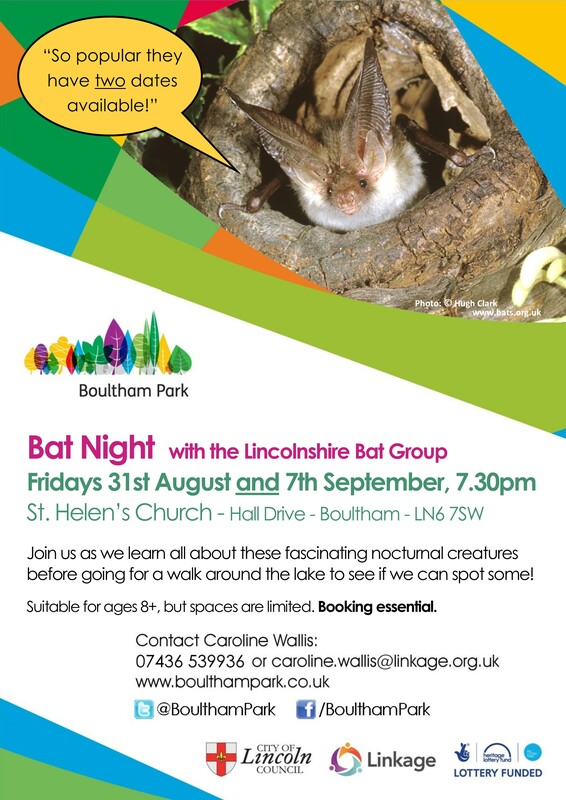 The evening will start at the church with an informative talk by Graham and Nick about bats and the work of their group, and this will be followed by a walk around the Boultham Park lake to see if we can spot and hear some bats! Refreshments will be served at the church. are always grateful for donations on the night to support their causes. please let us know as soon as possible, so we can offer it to those on the waiting list. for assisting with these popular events – a highlight of our year.